All around the world, Internet users are realizing how important the additional measure of privacy and control they gain by using a VPN is. 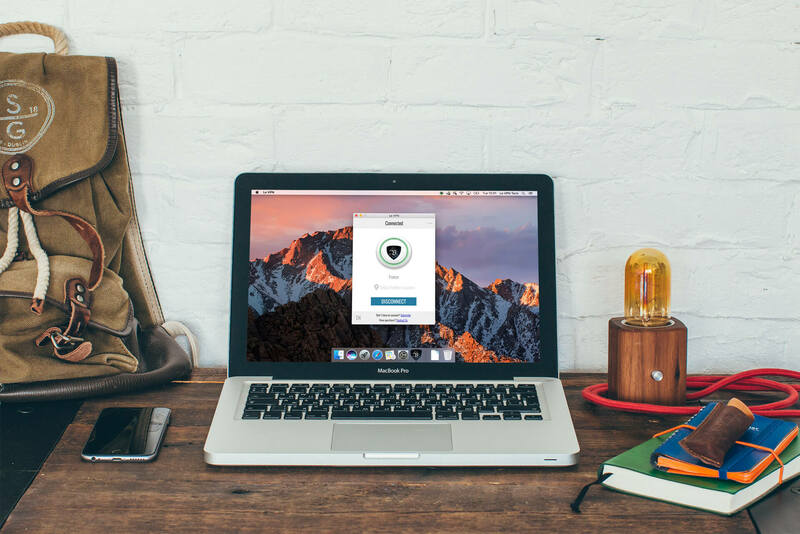 In Italy, Le VPN offers its customers a way to surf securely and access sites that would otherwise be restricted geographically. 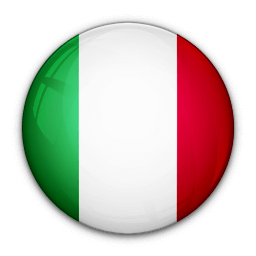 It also allows unblocking some of the most popular Italian websites and media services unavailable outside of Italy. For example, Le VPN unblocks SkyGo Italy for the viewers outside of the country. Read on to learn more about what our service can do for you. One of the biggest reasons why people use a VPN, aside from privacy and security concerns, is to access online media and other streaming content limited by geographic restrictions. Le VPN offers its users secure connections in 114 countries worldwide; in Italy, this means you can view movies and TV shows from abroad, such as those exclusive to the UK and French Netflix and other services. It also means that when you’re travelling, you can use an Italian VPN to view your favorite shows from back home, including Che Tempo Che Fa, Striscia la Notizia and others on Sky Go Italia, Canale 5, Rai 1 and other networks. These days, you can never tell who is monitoring your online behavior. With a VPN, however, all transmissions are fully encrypted, protecting data as it moves between your computer or mobile device and the web. As such, no third party will be able to see which sites you access, or even whether you are browsing the web, streaming media, sending an email or transferring a file. With Le VPN, you never have to worry about the privacy of your Internet connection — as a result, our service is perfect for families with small children or anyone concerned about protecting their sensitive personal data. If you’ve ever had concerns when going online through a public network — whether it’s in an airport, hotel or coffee shop — a VPN can provide the peace of mind of knowing your private information is protected. That’s just one of the reasons why our service is invaluable for travellers, freelancers or others who frequently log on over unsecure connections. Our service gives you your choice of three connection protocols depending on the level of security you desire: OpenVPN, PPTP or L2TP. With our easy-to-use custom software, you can quickly adjust these and other settings to provide the best possible experience in any situation. Anyone trying to learn a foreign language such as Italian will appreciate the benefits a VPN can offer. Too often, lack of access to Italian-language cultural programming is a serious hurdle to students. By giving you access to Italian music, movies and other media from overseas, a VPN is a great way to fine-tune your skills by listening to native speakers. 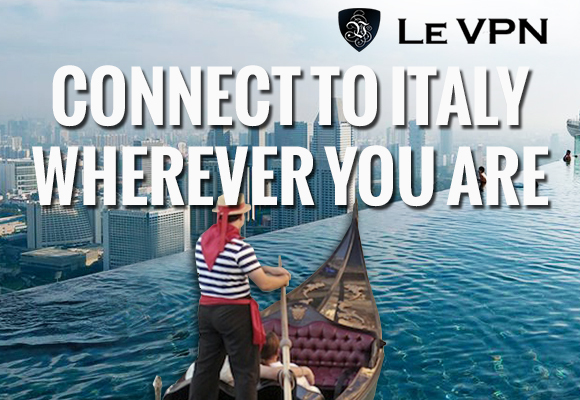 Whether you are planning your dream vacation or simply trying to pass your midterm, Le VPN brings the rich culture of Italy right to your door, no matter where you are in the world. There is no shortage of reasons why Le VPN is a great choice for anyone looking for a VPN in Italy. We offer all of our customers safe and secure connections to more than 400 servers and IPs worldwide, unlimited download speeds and advanced security and privacy protocols. Pricing for our service starts at just $4.95 USD a month. The longer a commitment you make upfront, the less you pay on a monthly basis. If you’ve never used a VPN before and are wondering if our service is worth it, we offer a seven-day money-back guarantee for all new customers. Sign up and get instant access to our complete selection of VPN services today!